Need more room to live? Want to stretch your wings? 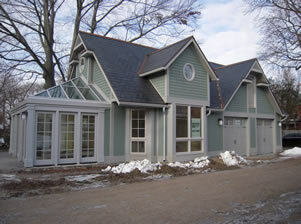 Broaden your home's horizon with a high quality, custom built addition by Macfadyen design and Build Inc. Designed to enhance the value of your home, Macfadyen custom builds home additions and outdoor living areas, utilizing the best products on the market. 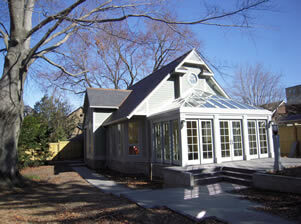 The same passion for fine building apparent in our custom homes is reflected in our additions. Our additions are built to the same exacting standard as the rest of your home. With Macfadyen, you won’t settle for the common out-of-the-box, factory made kit offered by our competitors. We give you a custom-designed addition which is uniquely yours and optimized to fit your home, property and lifestyle. In designing your addition and outdoor living area, the Macfadyen team will help you define how you plan to use your additional space. Our custom additions are one of the most valuable and popular home upgrades, enhanced by a broad range of features and the quality craftsmanship our customers have grown to expect. Your own special place, halfway between indoors and out. When you know your home is perfect – if it only had more space – Macfadyen Design & Build Inc. is your solution. You can live comfortably in your home while the highly experienced Macfadyen team completes the required transformation. Whether it is adding a room, expanding your living space, enhancing your interior layout, or constructing a studio or guest house, you achieve the home of your dreams without leaving your current home and neighborhood. Whatever you envision, Macfadyen's skilled team has the experience to handle the entire construction project. From the initial design meetings to the completion of your custom built home, addition, or renovation, you will be impressed by their expertise. 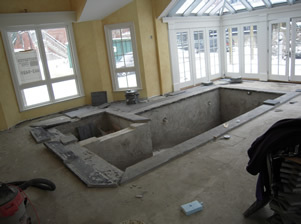 As a final touch, we ensure the building site is spotless before you invite your first guests to enjoy your new space.